1. In a medium pot, bring 2 cups of water+seasoning/stock to a boil. Add bulgur, cover and reduce to a simmer for 15-20 minutes, until nearly all liquid has been absorbed. Stir in beans and kale and cook 5 minutes more, until kale has wilted. Stir in the garlic, oil and liquid smoke. Turn off heat, plump with a fork, cover and allow to steam. This looks very hearty and very good. 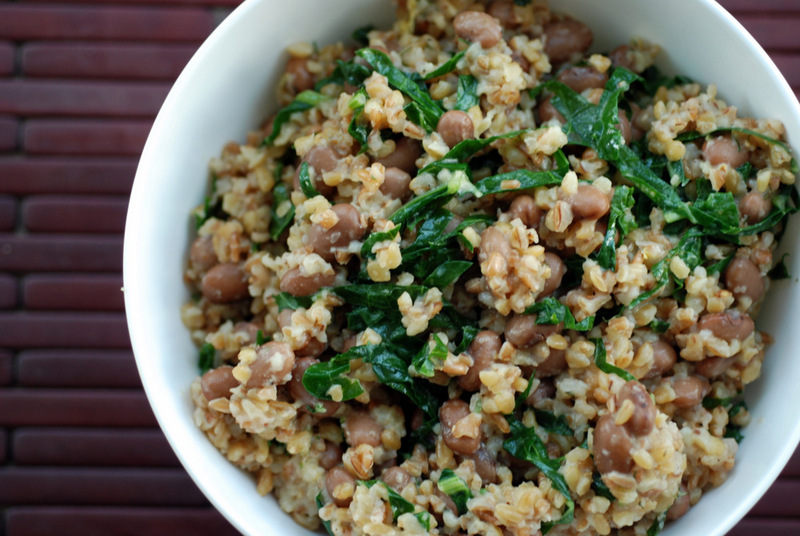 Beans, greens and bulgur are a great combo. 😉 Thanks for sharing with Souper Sundays. My aunt swears that she lowered her blood pressure solely by eating raw garlic every day..not sure that I TRULY believe that but I suppose it couldn’t hurt. I certainly can’t get enough of it! Or of bulgur! Great dish. Thanks! Sometimes I wonder if people will like simple recipes such as these. Oh I love garlic too! Luckily I seem to date people who love it too, so they don’t mind a little garlic breath! Well my love of garlic has yet scare away kisses from my husband, although sometimes he might be a little more apprehensive, lol. 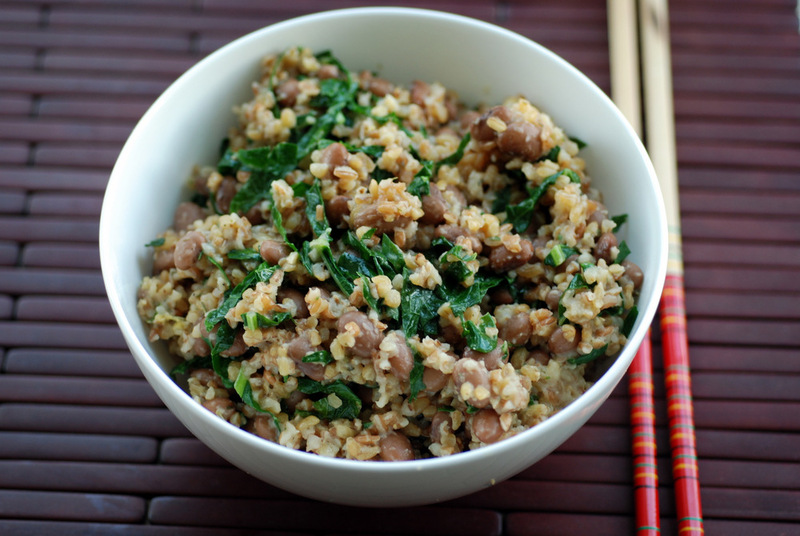 This has four of my favorite things, bulgur, kale, beans and liquid smoke, I love adding a little smokiness to my meals. This is such a simple yet delicious nourishing dish. Thanks for sharing with MLLA this month. This is a great bowl of food and helps feed my mild obsession with all things bulgur!